At Premier Trades People we are proud of the people that work with us, they are amongst the industry’s most enthusiastic and dedicated individuals. We are all passionate about what we do, from the customer services and the quality of our workmanship, as every one of us is responsible for the continued success of ‘PTP’. Call now for your competitive quote! Gaps or cracks in the roof can lead to water and moisture finding its way you’re your walls and flooring. If such an issue is not identified quickly, the cost of damage can be significant, in the roof and other areas of your property. Gaps and cracks can appear due to missing tiles or flat roof punctures for example. 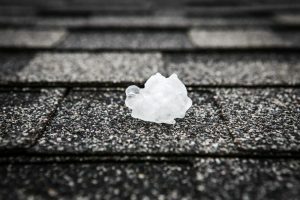 Every time it rains, snows or hails, your roof is vulnerable to water seeping through. A roof that’s not performing effectively will have signs of pooling water. Pooling water is a sign that your roof is not performing efficiently. Roof systems are designed to transport water away from them and if water is not draining away, it will be putting additional pressure on the roof system. Worst case scenario is that the load will be more than the roof can bear and collapse could occur. You will definitely need to contact Gloucestershire Roofing Services via Premier Tradespeople. If you have trees near your property, then overhanging branches can be a problem. 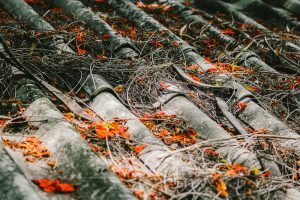 Strong winds could uproot trees but branches continually scraping against tiles can cause damage over time. 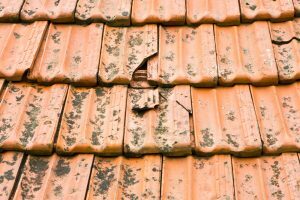 Tiles will wear out quicker, leaving your roof more exposed to the elements and possible water damage. Flashing acts as a sealant for vulnerable areas of your roof. These susceptible points include joints that are more open to weather and water damage. If your flashing has been poorly installed, then the water tightness of your roof is questionable. If water starts to penetrate your home, you’re looking at huge disruption and significant cost to repair the damage. Get your flashing checked today by one of our Gloucesters Roofers. Roofing material can suffer from punctures from harsh weather conditions. Damage caused by wind or hail can leave weak points where water can seep through. It’s important to identify any vulnerable parts of the roofing material to prevent further moisture damage. The entire roof system is cleverly designed to allow water to be dispersed away and into your drains. Problems arise when this drainage becomes blocked and water begins to pool. Drains can become blocked through a build-up of leaves, branches, silt and general dirt so it’s essential to check your guttering regularly, particularly during Autumn. Catch any roofing problems before they become a nightmare by having a qualified roofing professional perform an assessment. Services: All types of Roofing, from Flat Roofs to Churches. 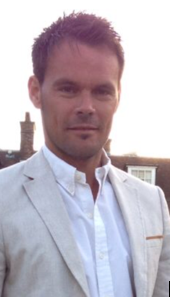 Hobbies & Interests: Golf, Snowboarding, Going to the races.